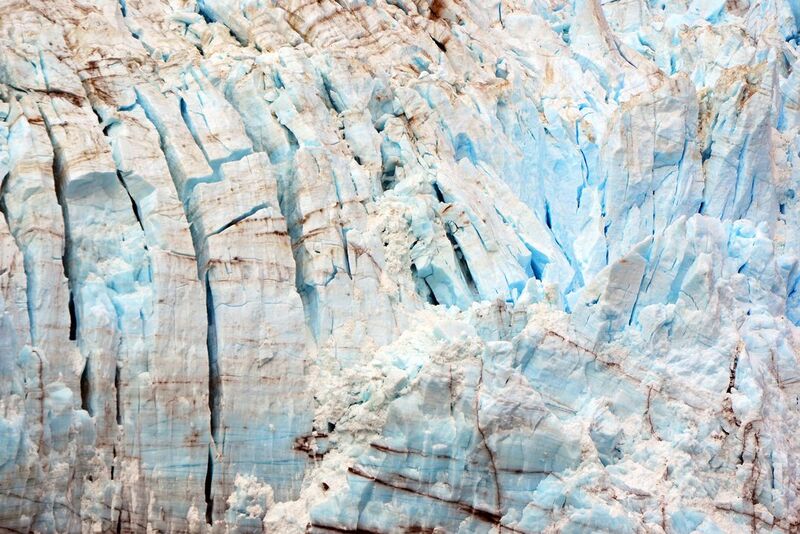 Photo detailing the cracked shades of blue and white ice remnants from a glacial period approximately 4000 years ago. The ice at the front of the Alaskan Margerie Glacier (Glacier Bay National Park and Preserve) is anywhere between 75 to 200 years old and calves almost daily. Date Uploaded: Nov. 17, 2014, 8:27 a.m.